This Poximal RCA Chronic Total Occlusion was recanalized retrogradely through epicardial collaterals with good final result. How to manage patients with coronary CTO. 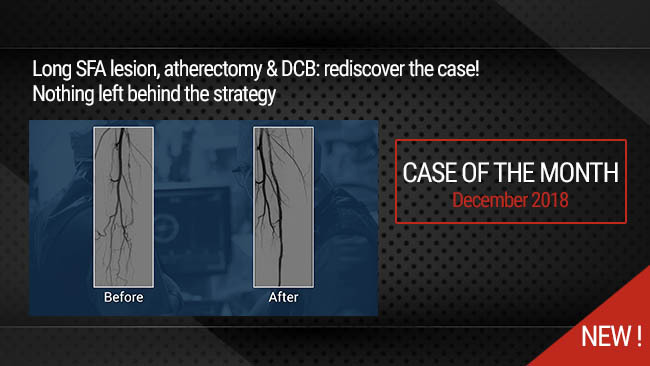 How to apply the Hybrid algorithm during coronary CTO procedures. How to perform antegrade Knuckle wire Technique. How to select & approach epicardial collaterals. How to perform Reverse CART Technique. Double Access: Right Femoral 7F, Left Radial 6F. Dual injection & angiographic evaluation. Antegrade approach using Turnpike Spiral (Teleflex) & Fielder XT-A (Asahi) and then Gaia 3rd guidewire (Asahi). Antegrade wire Knuckling to the distal RCA using Fielder XT-A. Distal re-entry failure with Pilot 200 (Abbott). Retrograde Approach using epicardial collaterals from Left Cx: Sion guidewire (Asahi) & Turnpike LP (Teleflex). Revere CART technique using a 3.5x20mm balloon, guideliner V3 support (Teleflex) & Pilot 200 guidewire (Abbott). Stenting with multiple DES Supraflex (Teleflex). Left system microcatheter removing & control. Authors: Huang Z, Ma D, Zhang B, Folson AA, Lin J, Wu K, Liao H, Zhong Z. Authors: Benincasa S, Azzalini L, Carlino M, Bellini B, Giannini F, Zhao X, Colombo A. Publication: 2017 Sep;18(6):393-398. doi: 10.1016/j.carrev.2017.03.013. Epub 2017 Mar 14. Authors: Ma JY, Qian JY, Ge L, Fan B, Wang QB, Yan Y, Zhang F, Yao K, Huang D, Ge JB. Authors: Azzalini L, Candilio L, Carlino M, Colombo A. Publication:2018 Feb 15;91(3):464-469. doi: 10.1002/ccd.27324. Epub 2017 Sep 25.